The evolution of medical science has revealed that many of the common symptoms of aging may be caused by a reversible failure of cellular mechanics. One such mechanic that has been the target of anti-aging research is a cellular enzyme known as adenosine monophosphate-activated protein kinase (AMPK). AMPK is activated in the presence of rising levels of Adenosine Monophosphate (AMP). 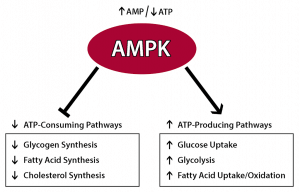 AMPK activation increases fatty acid oxidation and glucose transport, releasing additional energy from stored fats and sugars. 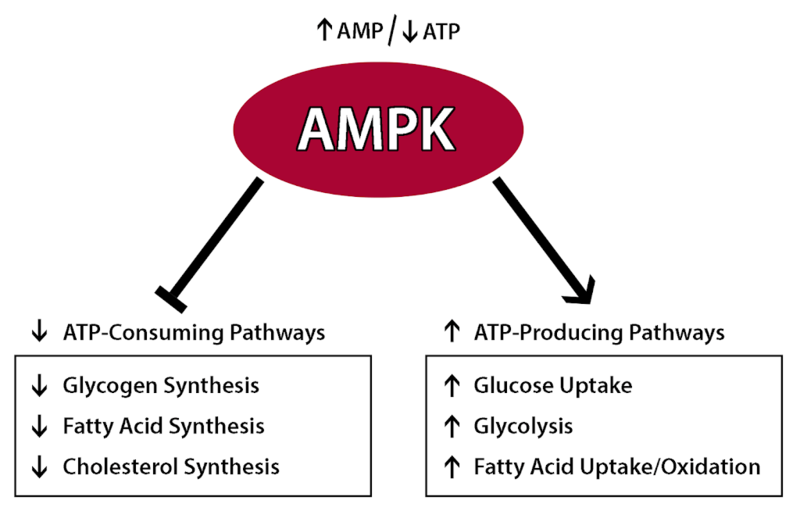 In essence, activated AMPK promotes energy-releasing processes while suppressing energy-storing processes. As a result, organisms with high AMPK activity tend to be more lean, with relatively low blood sugar and fat levels, and a very low risk of heart disease, diabetes, and other metabolic disorders. Activated AMPK promotes all the processes needed to maintain a youthful profile. However, AMPK activity fades with age. As previously mentioned, AMPK is activated in the presence of increased AMP. Therefore, to test the anti-aging properties of AMPK, researchers used fruit flies that were genetically engineered to synthesize higher levels of AMP. The research found that the modified flies lived up to one-third longer as a result of increased AMPK activity. “The life span benefit of these mutations depends upon increased AMP:ATP and ADP:ATP ratios and adenosine monophosphate-activated protein kinase (AMPK). Transgenic expression of AMPK in adult fat body or adult muscle, key metabolic tissues, extended life span” (Stenesen, 2013). Luckily, AMPK can be activated without genetic manipulation. Researchers have now confirmed that consistent dosages of oral AMP results in increased AMPK activity. 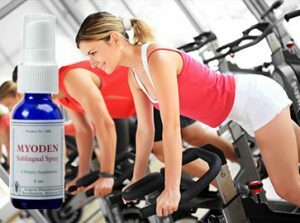 In a study using lab rats fed supplemental AMP, “AMP effectively improved hypertension, plasma triglyceride, and HDL-cholesterol, glucose, kidney function parameters, hepatic lipid, enhances plasma nitric oxide, and plasma adiponectin…”(Ardiansyah, 2011). The researchers found that AMP up-regulated mRNA expression levels, affecting genes involved in B-oxidation, fatty acid synthesis, and AMPK. It is clear that AMPK activity is desirable for reducing the unwanted effects of aging. AMPK activity can be increased through exercise and proper nutrition however as we age, AMPK activity declines. This decline can be reduced and possibly even reversed through pharmacologic AMPK activation such as that achieved through supplemental oral AMP. Ardiansyah, Shirakawa, D., Koseki, H., Saori, T., Yoshinobu, A., & Michio, K. (2011). Novel Effect of Adenosine 5′-Monophosphate on Ameliorating Hypertension and the Metabolism of Lipids and Glucose in Stroke-Prone Spontaneously Hypertensive Rats.Journal of Agricultural and Food Chemistry. Linton, R. (2015). AMPK and Aging. Life Extension.